Join host Judy Morgan DVM, CVA, CVCP, CVFT, world renowned author, speaker, and holistic veterinarian for an exciting show where you will discover healthy options for raising your pets in a more holistic manner. Not sure which vaccinations should be given or how often? Not sure which food is best for your individual pet? Not sure what to use for flea, tick, and heartworm prevention? Find out the answers to your questions in this weekly show where we interview the top experts and showcase the latest products that will help your pets stay naturally healthy. Dr. Judy’s sister, Sally Morgan, PT, CST, renowned specialist in holistic physical therapy for pets, guest hosts the Naturally Healthy Pets radio show once a month, collected below are those appearances. This week, Sally is pleased to welcome Tracy Vroom, EBW, CST, who left a long career in publishing at Forbes Magazine to pursue her life’s work with animals. She’s the founder of The CranioConnection, providing complementary health, healing, and performance solutions specializing in horses and dogs for 19 years. Growing up on an Iowa farm surrounded by animals, she now loves sharing her passion, making a difference in the lives of animals and their humans by sharing information and tools that empower. 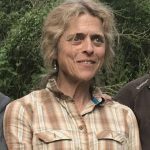 Tracy has taught and studied with world-renowned pioneers in complementary and holistic medicine with a philosophy that centers around working with the animal’s whole being to achieve optimal health and balance. Tracy’s blended approach integrates a broad range of certifications, including craniosacral therapy for all species; equine and canine body work, the Tellington TTouch and many other natural modalities. Tune in to hear Sally and Tracy discuss how animals have been her most profound teachers, how empowering people is a huge part of why she loves this work and more. 09-03-18 Dancing With Your Dogs! This week, Sally welcomes her multi-talented friend and lifelong animal lover, Caryn Tindal, coming to us from New York state, where she lives with her husband Brian. A former Jersey Girl, Caryn and Brian moved upstate in 1979 where they briefly operated a 360 acre Holstein dairy farm that they were forced to give up in the ‘80s due to a “milk surplus”. She has also owned and shown her beloved Arabian horses. Shamah and Liza, for over 30 years. After leaving the dairy farm, Caryn, a ballet, point and jazz dancer from 4 to 18 years of age, caught the agility bug and she started training Winston, her Pembroke Welsh Corgi and first agility dog, to perform. After two years during which they earned several impressive awards, Caryn took Winston to a 2-day freestyle dance seminar. This eventually led her to training him and her current 8 freestyle dancing dogs, as well as several students, to learn this fun and awesome method to train and bond with their dogs. Today, Caryn is the proud owner of The Dazzle Dogs, who have been performing their creative tricks and dance moves for over 12 years, with TV appearances that include Animal Planet’s Dogs 101 and a recent audition for America’s Got Talent / Season 12. This show is going to be a lot of fun so mark your calendar and tune in to hear Sally and Caryn talk about her experiences and adventures as well as the love, trust, and respect gained between her and her dogs, that brought them all to the wonderful place they are today. Join Sally this week as she welcomes leadership coach, author and speaker, Susan Collins, who works with people and their animals to enhance relationships and deepen their spiritual connections. Since 1998, Susan’s had four dogs and three cats, many with significant health or behavioral issues when adopted. In 2000, after developing a raw diet for her immune compromised Australian Shepherd mix, she happily saw the chronic skin conditions resolve and her dog begin to thrive. Then Susan’s first cat landed in the emergency vet with urinary tract crystals and off-the-chart pH, so she combined research with her experience raw feeding her dogs to create a raw recipe for cats. Her kitty loved it and never had a recurrence for the rest of his 20+ years. Her holistic veterinarian was impressed and asked Susan to document what she’d done, resulting in her book, “The Household Carnivore: How to Feed Your Cat a Raw Diet”. 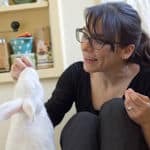 While her website, Your Dog, Your Teacher has a canine focus, Susan and Sally will delve into her experience with felines along with the workshops and consults she conducts, helping pet owners transition to feeding healthy raw diets, tailoring their approach to both animal and human lifestyle needs. This week, Sally welcomes Dr. Ella Bittel, a holistic veterinarian specializing in veterinary hospice care. 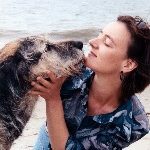 Born in Germany, where she graduated from veterinary school in 1994, Dr. Ella worked in California for nearly 20 years, offering the holistic aspects of patient care, such as animal chiropractic, acupuncture, Chinese herbs, laser treatments, craniosacral work and more. An experience with her heart dog, Momo, led her to a passion on improving availability of hospice for animals. Similar as in human care, the goal is to allow an animal to live its life fully and die an unhastened, peaceful death supported by its family at home or in rarer cases when a patient’s comfort cannot be sufficiently maintained, euthanasia is chosen to end hospice care. 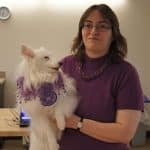 Dr. Ella’s desire to help those in need resulted in her creation of the first ever online classes on Geriatric, Special-Needs and End-of-Life care for companion animals. Her conference presentations on this include the AVMA, AHVMA and each International Symposium on Veterinary Hospice Care held at UC Davis. 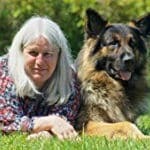 In addition, her website, www.spiritsintransition.org, has provided a free, non-veterinary animal hospice helpline for more than a decade. There is a strong trend in modern societies to keep death and dying out of our awareness, leaving us unprepared for a natural conclusion to physical existence. This will be a learning experience for all as Sally and Dr. Ella enlighten us on hospice and natural end-of-life care for our beloved pets. Dogs with Special Abilities are Awesome! 12-03-18 Dogs with Special Abilities are Awesome! 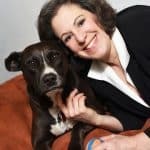 This week, Sally is joined by Debbie Bauer, a holistic dog trainer, author, blogger and animal wellness practitioner with 28 years of experience working with dogs and their people. Debbie’s business, Your Inner Dog, offers both in-person and online teaching and consulting, allowing her to help clients from all around the world. 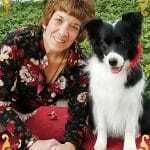 Her books on training blind and deaf dogs include Through A Dark Silence and White Dog Blog. She also has her online blog, which is about life experiences with her own deaf and blind/deaf dogs. Debbie is a member of the Pet Professional Guild and holds several certifications in her fields of dog training and animal wellness. She travels the country with her sidekick – Invincible Vinny (a blind and deaf double merle collie) – to educate and inspire others. What’s a double merle? Why, for some breeds, are white puppies sometimes born blind and deaf? How can you train a dog that can’t hear or see you? Tune in for answers as Sally and Debbie explain how all this happens, ways she’s broadening awareness and how she’s helping others learn to teach and communicate with these very special dogs. This week, Sally welcomes internationally renowned author, surgeon and speaker, Dr. Bernie Siegel, retired from practice as Assistant Clinical Professor of Surgery at Yale. Dr. Siegel (who prefers to be called Bernie) and his late wife and coworker Bobbie, settled outside of New Haven, Connecticut where they raised five children. Bernie’s first book, Love. Medicine & Miraclesin 1986, was followed by many others including Buddy’s Candle, Smudge Bunny and his new bookLove Animals and Miracles. Among his other extraordinary achievements, Bernie originated Exceptional Cancer Patients (ECaP) which is a specific form of individual and group therapy utilizing patients’ drawings, dreams, images and feelings. It’s based on “carefrontation,” – a safe, loving therapeutic confrontation, which facilitates personal lifestyle changes, personal empowerment and healing of the individual’s life. The physical, spiritual and psychological benefits, which followed, led to his desire to make everyone aware of their own healing potential. This is a rare opportunity to hear how Bernie has touched many lives all over our planet. From talking about patient empowerment and the choice to live fully and die in peace to counseling innumerable people whose mortality has been threatened by an illness, you’ll learn how Bernie embraces a philosophy of living and dying that stands at the forefront of the medical ethics and spiritual issues our society grapples with today. Tune in to hear Sally and Bernie talk about all this as well as his continued efforts in breaking new ground in the field of healing. 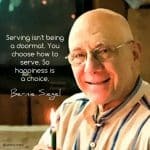 See www.BernieSiegelMD.com and follow him on Facebook for more details. 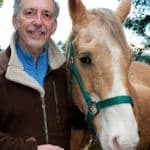 This week, Sally welcomes Dr. Allen Schoen DVM; author, teacher, lecturer and world renowned pioneer who dedicated his professional career to the advancement of complementary and alternative veterinary medicine. A 1978 graduate of Cornell University, College of Veterinary Medicine, he earned his Master in neurophysiology and animal behavior from the University of Illinois and later received an honorary Doctorate of Humane Letters from Becker College in 1998 for his contributions to Veterinary Medicine. Among his many achievements, one of his most notable is establishing the Department of Acupuncture at the Animal Medical Center in New York City in 1982 – the first in the world outside of China. He is the author of three books and numerous research articles on complementary and alternative veterinary medicine (CAVM), lecturing on this throughout the world including Europe, Scandinavia, Australia, New Zealand, South America, Africa, the U.S. and Canada. Through the referral practice he still maintains for large and small animals, Dr. Schoen developed new approaches to such degenerative conditions as cancer, arthritis, liver disease and others. He is currently working on a number of new projects to continue developing innovative, natural nontoxic approaches to animal health, environmental health and human health care. This will be such a special show as Sally and Dr. Schoen discuss all this plus his plans for integrating his approaches into a new interdisciplinary program with a commitment to compassionate care for all beings. You won’t want to miss it! 04-01-19 Better Lives for Bunnies!